The field team cleared several cemeteries between Abadiya and Hu that collectively were published in the volume 'Diospolis Parva'. Excavations were led by David Randall-MacIver, Arthur Mace and Flinders Petrie at various cemeteries. Miss Lawes drew pottery while Hilda Petrie and Beatrice Orme drew marks on the pottery and numbered finds and skeletal remains. Cemetery C was an isolated hill, with shallow circular graves of the early Predynastic (Naqada I) period. Petrie, William Matthew Flinders. 1899. 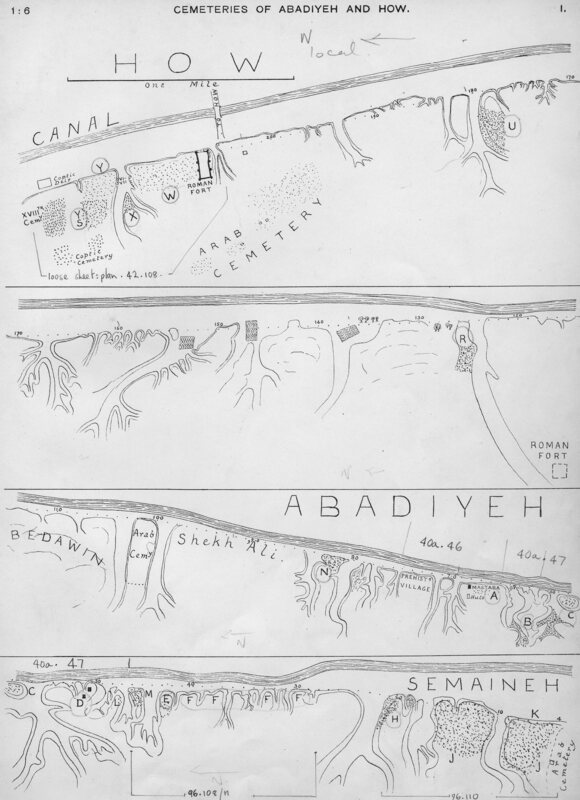 "Excavations at Abâdiyeh and Hû," Archaeological Report (Egypt Exploration Fund) 1898-1899, 1-3. Petrie, William Matthew Flinders. 1901. Diospolis parva : the cemeteries of Abadiyeh and Hu 1898-99. London : Egypt Exploration Fund. Map of the cemeteries of Diospolis Parva as published in Petrie's (1901) excavation report. 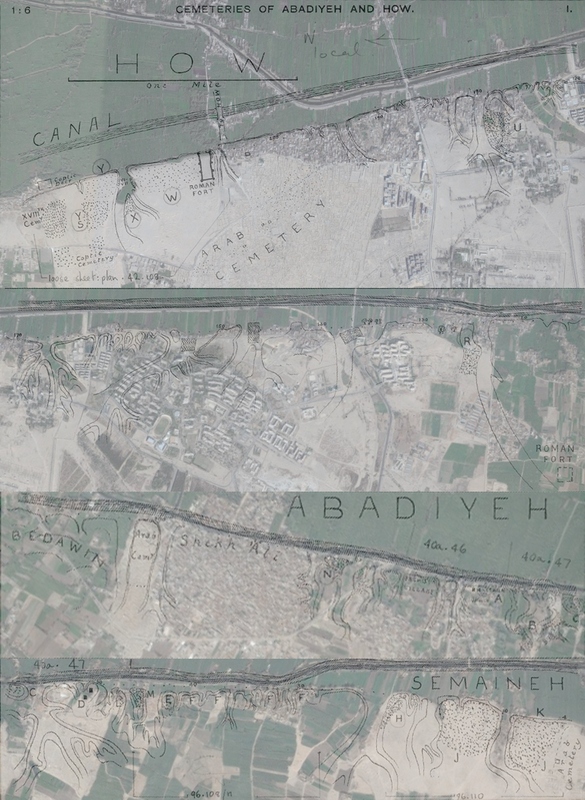 Excavator's map of the cemeteries of Diospolis Parva superimposed on a Googlemap image of the modern-day landscape.